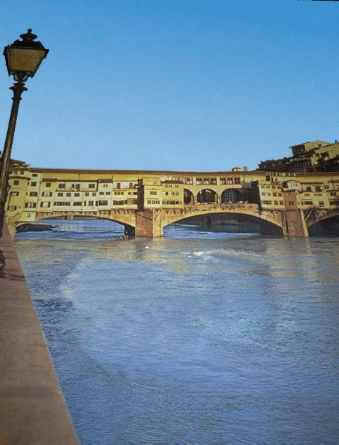 Is only 10 minutes walk from all major destinations in Florence and only 5 minutes from Ponte Vecchio, Dom and the Ufizzi. but in a neight bar hood prized even by locals for its atmospher of La Dolce Vita. The rooms are spacious with high ceilings and windows. Our common bathrooms are newly rennovated. The atmospher is calm but Social. We are also near several small markets, open every day. Inexpensive internet bis ashort walk away, and the nearby Piazza Del Carmine and piazza santo Spirito are relaxed, late night social centers for even the locals. Reception from 9 Am to 6 Pm all week, if you think that you arrive after, please inform us by telephone. No check-in after 22 Pm. our minimum stay in the week end Fridya Saturday and Sunday is 2 nights. you pay at your arrival, and cancellation policy is 48 hours befor your arrival date. 8 Minutes walking from the central train station Santa Maria Novella. Exiting out from the main entrance of the train station, called S. M. Novella, you will see the church Santa Maria Novella in front of you. Walk to the church and around the other side to the Piazza S. Maria Novella. Walk to the farthest end of the Piazza and go Right on Via Del FOSSI, past a small Piazza Ottaviani , and follow Via del FOSSI to its end and go over the Bridge , Ponte Alla Carraia. Go Straight over the bridge, through Piazza M. Sauro to Via De' Serragli, we are on the left side, number 7. Ring the button "NOVELLA", come on when the gate buzzes open, we are up the stairs on your left, second floor. Nearest airport: Florence airport 6 Km, we suggest you take a taxi. Otherwise you can take shuttle bus to the central railway station S.M.NOVELLA.